(Undisclosed): Company is a developer of domestic and international infrastructure projects. G.C. Andersen Partners is retained as exclusive financial advisor to raise capital necessary to fund the construction of a 15,200 kilometer trans-oceanic subsea fiber-optic cable system that will connect North America to Asia, increasing internet speed and connectivity for more than 1.5 billion people in the Asia Pacific region. (Undisclosed): Company is an international developer of power generation and other clean energy projects. G.C. Andersen Partners is retained as exclusive financial advisor to raise capital required for the completion of a distressed wind farm project in Latin America. Acme Lift Company is a wholesale renter of late-model, large capacity aerial work platforms strategically located throughout the United States and Canada. G.C. Andersen Partners acted as financial advisor to recapitalize the Company’s balance sheet which was constraining its ability to capitalize on growth opportunities and favorable rental industry tailwinds. Funds raised allowed the Company to refinance outstanding debt, retire preferred stock and subordinated notes and acquire additional equipment to fuel future growth. Caesars Entertainment Corporation, through its subsidiaries, provides casino-entertainment and hospitality services in the United States and internationally. G.C. Andersen Partners was retained as a financial advisor to the unsecured creditors committee specifically because of the 25 years of gaming industry knowledge and expertise of our partner, Greg Bousquette. Mr. Bousquette was instrumental in helping the unsecured creditors substantially increase the value of their recovery. Iowa Pacific Holdings is a holding company that owns short-line railroad properties across North America. G.C. Andersen Partners acted as exclusive financial advisor in the sale of the Company’s Grenada Railroad and the financial restructuring of certain of its debt obligations. Olympia Capital was a leading hedge fund administrator administering over $70 billion in assets. G.C. Andersen Partners acted as exclusive financial advisor in the sale of the Company to a significant European bank. Our team ran a highly competitive auction process that included well known prospective strategic and financial buyers. Additionally, our team was able to maintain the transaction price and close with the original winning bidder during a very turbulent time in the capital markets. 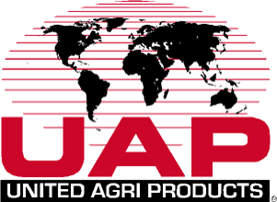 United AgriProducts, Inc. (UAP), a former publicly traded Fortune 500 company was the largest distributor of agricultural inputs and professional non-crop products in North America. Introduced to UAP by its largest shareholder, a well-known private equity firm, G.C. Andersen Partners was retained to be the exclusive buy-side financial advisor with respect to a series of smaller add-on acquisitions which the Company wanted to identify and execute as part of its growth strategy. We executed 4 transactions ranging in size from $15 million to $80 million over a two year period. Video King is one of the world's largest providers of electronic bingo gaming devices and systems, game designs, and bingo hall equipment. As a result of our extensive experience in the gaming industry, combined with our strong relationships with financial and strategic buyers, G.C. Andersen Partners was retained as exclusive sell-side financial advisor by the private equity firms which owned the Company. The Company was sold to another private equity firm with the expertise, the relationships, and the capital to enable the Company to realize its future growth potential. Worldlynx Wireless is an independent Bell dealer that provides telecommunication products, services, and solutions to retail consumers, small/medium businesses, and enterprises in Canada. G.C. Andersen Partners was retained as the buy-side financial advisor by a retail management team to identify a private equity sponsor for the acquisition and consolidation 53 Bell mobility Canada stores with combined revenue of over C$125 million. Our team introduced the management to an NYC based private equity fund focused on the consumer, retail, and related media sectors that provided the capital to complete the acquisition. 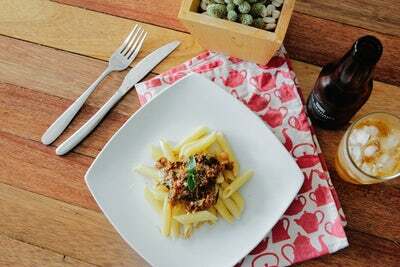 (Undisclosed): Company is a national chain of family style Italian restaurants. G.C. Andersen Partners was retained as exclusive financial advisor to arrange funding to recapitalize the Company’s balance sheet with longer term debt, enabling a dividend to be paid to its largest shareholder.